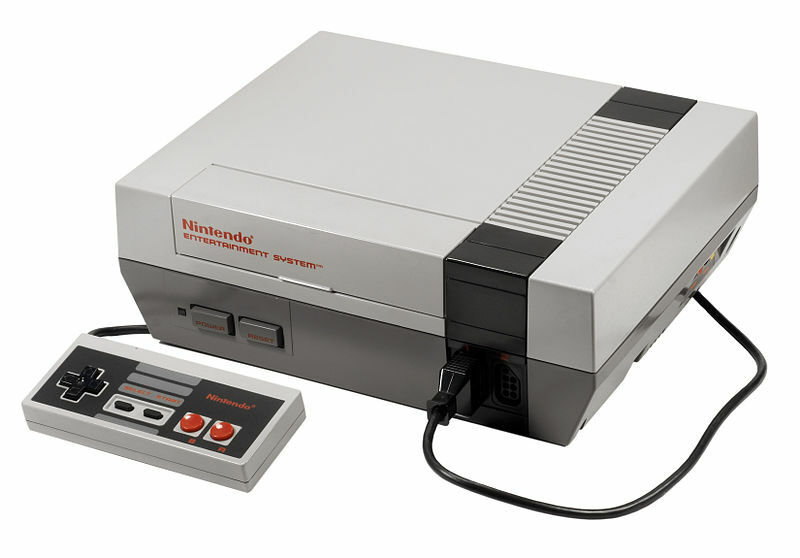 Back when I started in the video game industry the first Nintendo was the Nintendo Entertainment System (NES). Up until then the Atari 2600 and 7800 were the current cartridge based video game systems. Those blocky graphics and simple game play were what kids and adults were used to back then. Then when the NES was released it changed everything as far as better more in depth gameplay, sound effects and graphics. It also set the standard for how games needed to be tested and submitted for approval going forward. Now when you tested games for the NES you had to expand your test case scenarios to adjust to the newer game controller. For those who may remember, the 2600 had a single joystick with one button and the 7800 had a single joystick with two buttons. 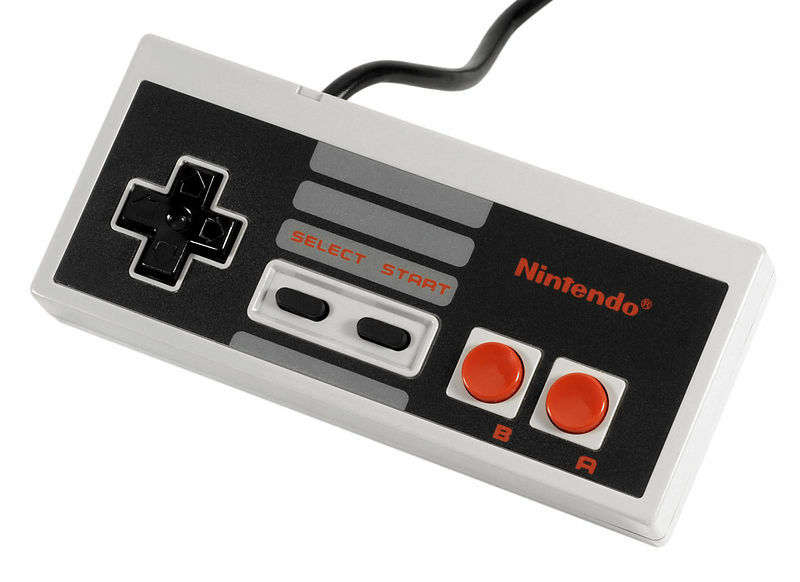 Now the NES didn’t have a joystick per se it had a controller. The controller had an up, down, left, right directional pad, two buttons and Start and Select buttons. More buttons and a directional pad meant more ways to test for code bugs. Being that I was the only tester that the company currently had, I needed to come up with new test cases on my own. For example, on the 2600 and 7800 there was no Start and Select buttons so a new test case would be something like – when my player loses a life, hold down the Select and the two control buttons at the same time and see what happens. Or when my player loses a life hold down Start when the screen fades out and see what happens. You couldn’t do that before with the Atari 2600 and 7800 because their joysticks didn’t have those buttons. You may be wondering, what is a test case scenario? Check out my Test Case Scenarios page for an explanation on what they are. After getting a new smartphone, have you ever thought to yourself that it will take you a couple days to figure out all of the new technology upgrades? Well the same is true as a game tester when a new gaming platform comes out. The only difference is that you do not have a couple of days to figure it out. You only have a couple of hours or minutes to figure it out and then come up with new test case scenarios. Being a game tester requires you to think fast and to be thorough in your approach to creating test cases, in conjunction to whichever gaming platform you are testing on. You cannot say, it’s going to take me some time to figure this out. No, No, No! You better figure it out real quick. This is one reason why I always made sure that the testers I hired were not just good game players but also tech savvy. YOU MEAN IT’S NOT JUST PLAY TESTING A GAME? Another reason a tester needs to be tech savvy is so they can make the game cartridges or disks that they are going to use for the actual testing. Maybe in a real big video game company there will be someone dedicated to make the testing copies but for the companies I worked for, that was the job of the testers. Example: When a programmer gives the testing department a new game update, the tester takes the game file off of an ftp server and downloads the code into a program that will “burn” (which means to program) the rom or disk. Only then can they start to test that game. 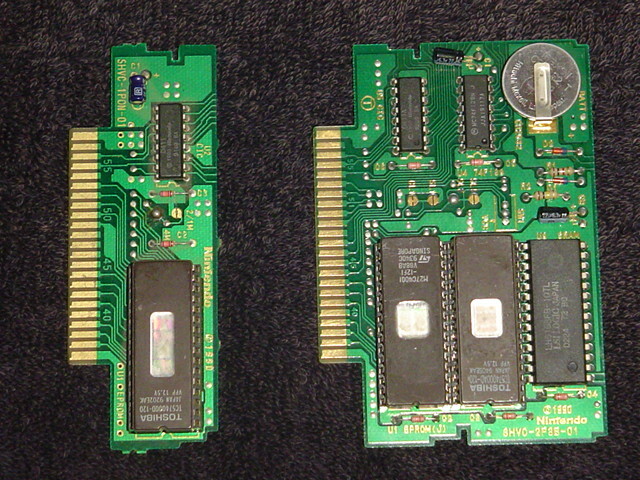 For the NES and also the SNES (Super Nintendo), you had to burn the game code onto an eprom which was a rom (Read Only Memory) that could be erased and re-programmed with new game code. The picture below shows an 8bit and a 16bit SNES eprom test board with eproms plugged in. Notice the eproms have a clear window on each of them. This is necessary so the ultraviolet light can erase them when they are put into the eprom eraser. Next the tester would carefully remove the eproms from the test boards that were plugged into the game system they were using to test. Then the tester would replace the previous eproms with the new eproms that were just burned with the new game code. The tester now takes the older eproms and puts them into an ultraviolet eraser that would erase the old game code so those eproms could be used again. Like I said, being a tester is not just play testing a video game. Obviously this process of burning and erasing eproms is not something that happens much anymore. Most gaming consoles today use games that are on disk. However there is still the process of taking the game code update from the programmer and putting it on to a disk so you can play test the game. If you have any questions or comments about anything, please leave them below and I will reply back to you. Enjoy the information I have to share on the rest of my website. Great article! I thought to test games you just had to sit down and play them all the way through. The Atari and NES were my first game systems too. Very interesting, thanks for the info! Thanks! – That’s what a lot of people think but that is totally false. About 60% of the time you have to try to break the game by playing to die and not to win. Do the un-natural thing before doing the natural. If you were testing a NASCAR racing game you would want to try to drive your car through the wall in various areas of the track to see if you can drive through it or turn your car around and drive head on into another car. Stuff like that. Then if you should find a bug you have to write up a detailed bug report describing what you did and what was the results. Then once the bug was fixed you have to go back and try to make the bug happen again. I always told my testers to try three times and if you can’t make it happen then consider it fixed and move on. Consider how long that would take you, especially if the bug happens at the very end of the game. Testing a video game is way more deep than just playing all the way through. Thanks for your comment! Everyone thinks a good way to get into the video games industry is to be a tester because just about anyone can play games. What you soon realize is that testing games is serious and hard work. You need to follow a structured process and you can’t always test just the things you want to play. There are times you have to play a specific level over and over or other times you spend hours setting up a specific test case. Not always such fun! But a very necessary part of making good games. This is so true! I had teenagers coming up to me when I was manager of QA at Absolute begging me for a testing job and I would ask them if they could handle testing and not playing games that are not in their favorite genre. They all said yes. Out of about 7 possible testers only 2 made the cut. 4 quit after a few weeks and 1 just never showed up after his first 10 hour day testing a Barbie game for the NES. – Thanks for you comment JF! Thank you for finding my website and enjoy the information I have to share. I have no problems in either Google Chrome , IE or Safari. But thanks anyways. You bringing me back memories bro….I remember when I was a teen, all I wanted to be was a game tester. Until I realize is a lot of work lol. Yes, it is a ton of work and a lot of the time it is very stressful work, especially when you are trying to recreate a crash bug that only happens like 1 out of every 20 tries. Sometimes that can take a couple of days just to recreate that bug so you can explain it and capture it on video or get a screen shot of it. – But it is a job and like any other job it can be fun at times and not fun at all. 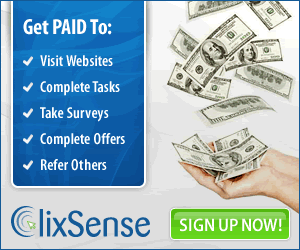 – Thanks for visiting my website! Thank you Lawrence! Yeah there are some cool older games I wish I still had from my early days in the video game industry. But as time has gone by I gave them away or sold them on eBay. Thanks for visiting my website.